On the 20th of July I will deliver a great workshop in Lisbon, Portugal about Microsoft Azure. This workshop is part of the Tuga IT Conference (http://tugait.pt/) and is targeted for all IT Professionals that want to start to design, create and/or migrate solutions for Microsoft Azure. More and more companies are implementing, designing and architecting solutions on Microsoft Azure. This full day workshop will provide you guidance and knowledge on some of the core Azure services. This workshop will be led by Tiago Costa, Microsoft Cloud architect and advisor for several customers across the world and two times author of Microsoft Official Curriculum (MOC) – 20532 and 20535. Be prepared for a demo dependent workshop, we will do our best to blow your mind! You can sign up for this workshop at: https://www.eventbrite.pt/e/bilhetes-i-find-you-lack-of-azure-disturbing-47095724580. 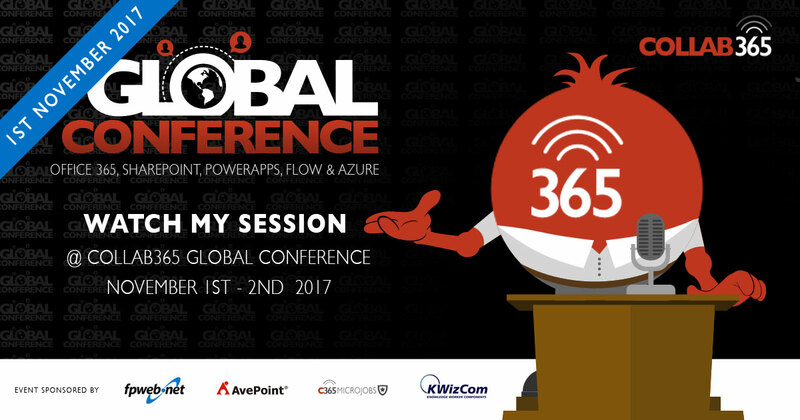 During the conference I’d love you to watch my session which is called : ‘Supercharge your applications with the Microsoft Graph API’. When creating line of business applications we always need data from several sources. This is no different in a cloud world, but instead of creating different services, that are accessed in different ways, we can leverage the power of the Microsoft Graph API to get data from Office 365 and other Microsoft cloud services in a quick, easy and integrated way. In this session, we will check how easy is to get data using the Microsoft Graph API to your application, like for example files from OneDrive for Business or SharePoint, list data from SharePoint, schedule a new event in a user agenda, etc… This is a very demo depended session where, we will create an application integrated with data from Azure AD and Office 365.